Panorama model is available in the glazed version: the aluminium frame supports methacrylate or glass sections, ensuring much natural light. 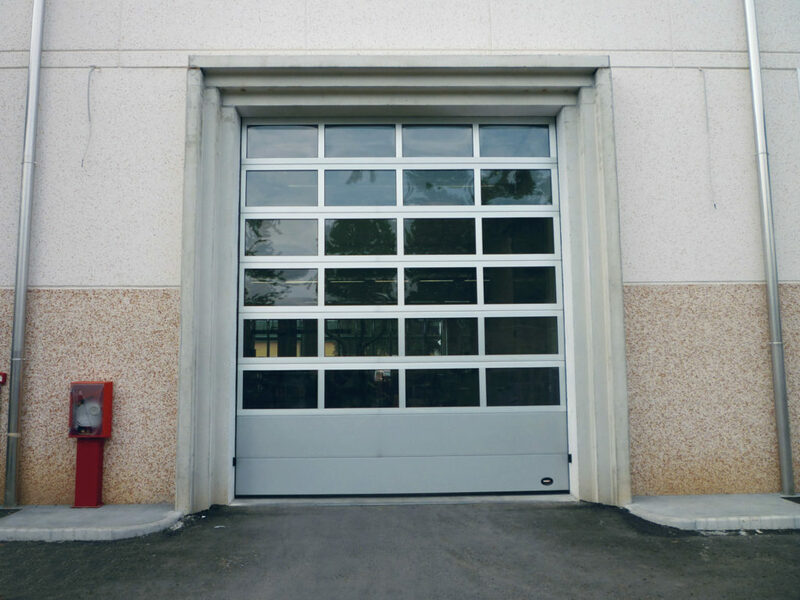 SEIP guarantees the possibility to opt for structures with grids, glazed structure or a combination of the two versions or even a combination of panorama panels and standard insulated panels. 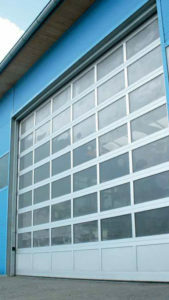 Sectional door SP series with aluminium panels and equiped with transparent methacrylate 2+12+2 mm modules.